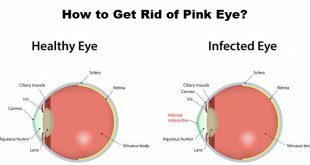 Home / Home Remedies / How to Get Rid of a Black Eye? In this article, we will discuss remedies to get rid of a black eye. A blow to your face, nose or any other parts around your eye lead to a collection of blood and other fluids around the eye. But most of the times, the black eye doesnвЂ™t cause any serious or permanent damage, it heals with time. Normally a black eye is a proof of something that has gone wrong with you and had left your skin around eye bruised. 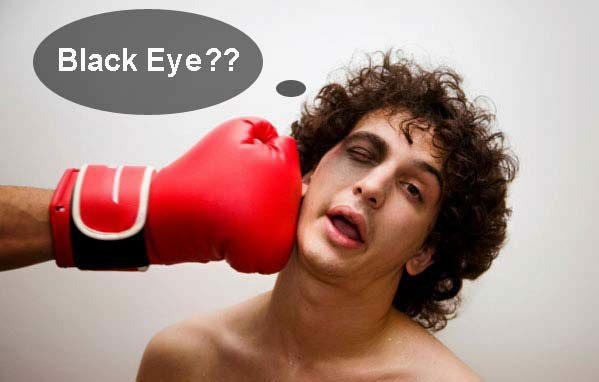 Having a black eye can also cause some people not to see clearly for a certain period of time. Do remember that if your black eye is serious and you are experiencing bleeding on your black eye, you may want to go to the hospital first. 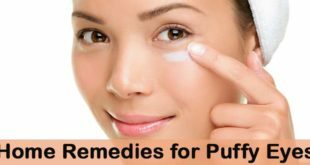 However, if you havenвЂ™t experienced profound bleeding in the eye, and want to get rid of a black eye, then some natural remedies work best for this purpose. 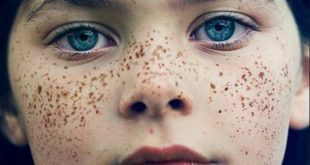 These remedies help to heal the wound and the skin cells and repair the broken capillaries within a few applications itself, bringing the eye to look normal in some time. A black eye is nothing but a blow to your eye or anything amiss that has left the skin around your eye bruised. Black eyes can cause pain, blurry vision, swelling, and headaches. The tissues around the eyes get bruised when you suffer from a black eye. 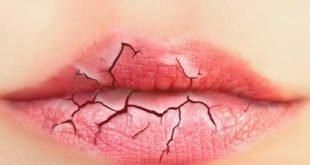 Just because the skin doesnвЂ™t break there doesnвЂ™t mean that blood has not oozed out of your veins. ItвЂ™s important to know here that this internal blood collects all around your eye and makes the skin around it change color, from red to purple and then dark purple to black eye. Ice will help reduce the swelling and constrict the blood vessels to reduce internal bleeding and further bruising. The ice pack is one of the best ways to get rid of a black eye really fast. When you apply ice to your injured skin, it constricts the blood vessels there and thus helps in stopping the internal bleeding under the skin. Applying an ice or an icy cold compress to your eye that hasnвЂ™t yet turned black is the first thing you should do after an injury. However, never apply ice directly on your skin. Instead of ice, you can also use a packet of frozen vegetables to get rid of a black eye easily at home. While using ice, just wrap ice cubes in a clean cotton or muslin cloth and use it. Hold it over the eye for about 10 minutes. 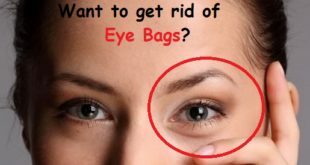 Repeat the process several times a day during the first 48 hours for getting of rid of a black eye within a few applications. This will help improve blood circulation and remove the dried blood accumulated under the skin. A warm compress also helps to increase blood flow to the tissues around the eye and accelerates the healing process, helping the eye get back to normal. After one or two days of getting a black eye, you need to apply warm compresses. This is helpful as the pooled blood trapped under your skin gets re-absorbed fast. 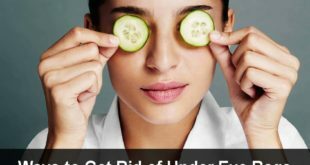 It is one of the best ways to speed up the healing and to get rid of a black eye. To use a warm compress, dip a clean cloth in warm water, and squeeze out the excess water. Put the warm cloth on the affected eye until the cloth becomes cool. Repeat the process several times a day to get rid of a black eye really quickly. Make sure you donвЂ™t use water which is too hot as that will be more damaging, it should just be comfortably warm on the skin. It really helps to eliminate the inflammation around the area and reduces the swelling almost instantly. Calendula, also known as marigold, is commonly used to reduce inflammation and promote wound healing. 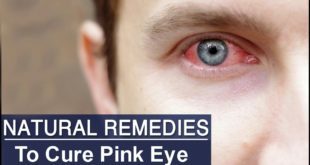 It really helps to relieve the inflammation of the eye and helps to speed up the healing process, thereby helping you to get rid of a black eye faster. To benefit from calendula, get a few petals and place it in a cup of hot water. Steep for about 15 minutes and place in the refrigerator for about 30 minutes. Using a clean cloth, soak the cloth and place it on the eye. You should ideally do this about three times a day for getting rid of a black eye effectively. 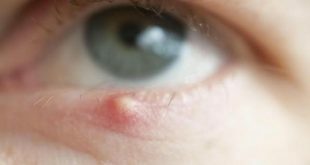 A lot of people have reported about the magical effects of this remedy after being affected with a black eye. 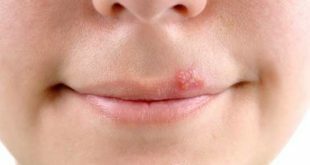 This magical product is mainly used to cure sores, bruises, and swelling in a lot of cases. Witch hazel is regarded as a good healing agent for many problems including black eyes. Witch hazel can reduce inflammation and also reduce pain by tightening the veins and it also refreshes your tired eyes. Here you can simply prepare a solution of chamomile essential oil, witch hazel, and water. Now soak a soft cloth in the solution and place it on your eyelid and the surrounding area for some time. Repeat the process two to three times a day. Alternately soak a cotton pad in witch hazel and place it on the affected eye for a few minutes. This will have a gentle, soothing as well as healing effect and will help you to get rid of a black eye easily after some time. Potatoes help a lot to reduce swelling as well as pain here. 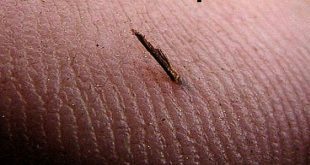 There are certain enzymes in potato that helps disperse the old blood from your bruise. This is a really easy remedy to use as well as potatoes are readily available in our kitchens are widely consumed in most houses. You can grate a potato to squeeze out the juice and then apply it to the eye to get rid of a black eye. Alternately Peel and cut a medium-sized potato into thick slices. Put the potato slices in the refrigerator for half an hour. Then take a cold slice of potato and place it over the affected eye for at least 30 minutes. Do this at least twice every day to get rid of a black eye really fast. Vitamin C helps in aiding the healing process and thickening the walls of the blood vessels to a large extent. You need Vitamin C to keep your blood vessels intact and avoid bleeding, not only after you are injured but for your general health and well-being. The blood vessels become thin and weak and get ruptured even when there is very light pressure exerted on them if you donвЂ™t take an adequate intake of vitamin C. Eating a lot of vitamin C is important to get rid of a black eye. There are many food items rich in vitamin C such as Indian gooseberries, guavas, peppers, limes, lemons, broccoli, mangoes and oranges which you can eat gladly in your diet every day. Alternatively, you can take a vitamin C supplement to supply your body with an essential dose. You should ideally begin using arnica as soon as possible to prevent the bruise from getting worse. It will also help heal the eye muscles and any other tissue that may have been damaged. Arnica is a very effective anti-inflammatory herb as it works by stimulating white blood cells that fight infections and help in eliminating foreign bodies from the system which include congested blood and fluid causing inflammation. It is traditionally used to cure bruises, sprains, strains, inflammation and muscle soreness, etc. Arnica is available in topical creams or ointments, as well as in oil form, that can be applied to the affected area two to three times a day. You can make arnica oil by adding one part of dried herb to 5 parts of any plant oil and then apply this on the skin at least twice a day for getting rid of a black eye effectively. Be as gentle as possible when you do an oil massage as extra pressure can cause more pain. Massaging the affected area with a good natural oil can help relieve swelling and inflammation. You can use any oil like coconut oil, castor oil or olive oil here to get rid of a black eye. Massage not only promotes blood circulation but also improves your skin. With your clean hands, gently massage your black eye with one of the oils and do this at least twice a day. You can also use vitamin E oil here which is easily available as well and helps lighten the bruise making the skin return to its original color really fast. DonвЂ™t heat the oil; simply use it at room temperature to extract all the benefits of the oil. Both these fruits are rich in antioxidants that speed up the healing process of almost any kind of injury that causes discoloration of the skin. 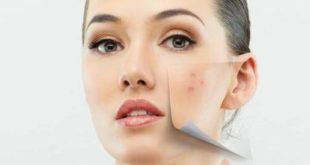 Papaya and pineapple are also a source of an enzyme bromelain which is equally good for healing your black eye besides being extremely rich in vitamin C. While it is better to eat pineapple and papaya as they are, you may also apply their pulp, after mashing the fruits, to the affected skin. Not many people know this, but many doctors these days use bromelain supplement after surgery, even after a facelift, as a quick anti-inflammatory component. A mixture of these fruits is almost magical to get rid of a black eye naturally. These fruits have enzymes that soften and heal the skin besides eliminating the swelling really fast. Oatmeal has some properties that can help make the swelling of the black eye go down considerably. Besides reducing pain and swelling oatmeal helps soothe the affected area. You can eat a lot of oatmeal in your diet when you are suffering from a black eye. It is one of the most favored remedy for getting rid of a black eye really quickly. Place oatmeal in warm water and leave it there for about 5minutes.Place the warmed oatmeal around the eye area. Massage gently for 10 minutes and then you can wash off as well. You should ideally do this every day for about 5 days for the best results. 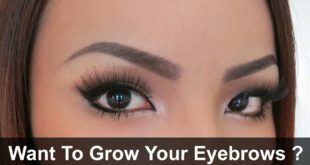 It will help you get rid of a black eye easily and will also help to make your eyes look healthier almost instantly. 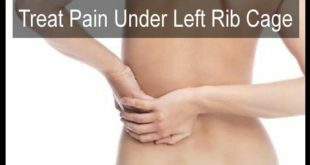 This will limit the blood flow to the sensitive area and reduce pain. After getting a black eye, make sure you elevate your head within the first 24 hours to prevent swelling. Use extra pillows under the head to keep it elevated while sleeping. This will also help to provide you a lot of relief and will help make you feel relaxed, which will speed up the healing process. 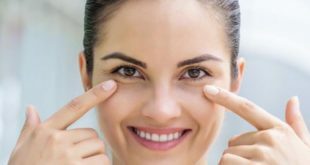 This is one of the most crucial methods to get rid of a black eye effectively. You can try and do this for about 15 minutes every day at least thrice a day for the best results here. This capsaicin in peppers helps reduce pain and appearance of bruises. 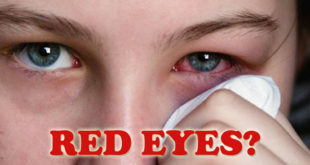 Using a cayenne pepper and Vaseline is a popular Chinese and Taiwanese remedy for treating black eyes. It really helps to reduce the inflammation and the pain and helps to heal the black eye really fast. Take one tablespoon of cayenne pepper and 5 tablespoons of Vaseline here. Mix cayenne pepper and Vaseline and apply this mixture on the skin. Leave for 30 вЂ“ 45 minutes. 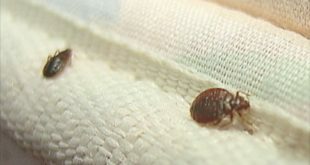 Remove using a wet wipe or cotton ball. Repeat 1 вЂ“ 2 times daily for getting rid of a black eye completely. 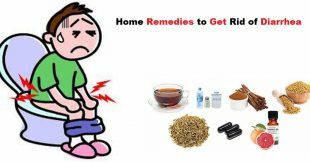 A lot of people around the world have used this remedy and have seen wonderful results here. Avoid using makeup when the portion is still swelled as itвЂ™ll make it more itchy and swollen. Wear glasses every time you step out, to protect your eyes from dust, dirt, and pollution. Take a lot of rest and sleep on time. Do not use warm compress before 2 days as itвЂ™ll make the bruise darker. Keep your head elevated all the time to reduce swelling. Drink lots of water to keep your body well-hydrated. Regularly massage the area with natural oil. 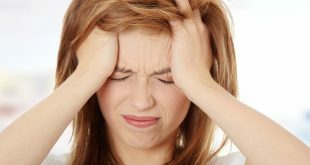 Avoid rubbing your eyes; otherwise, it will cause more pain. Previous How to Get Rid of Bats?